I sure wish I had thought to post this sooner. Being back in school for the first time in over 20 years is doing that to me. 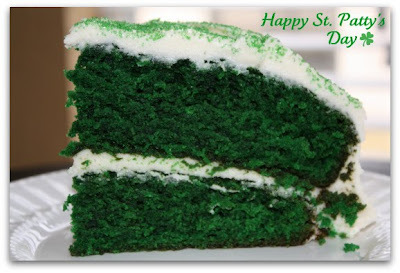 Follow the Red Velvet Cake recipe but substitute green food coloring for the red. Happy St. Patrick's Day!